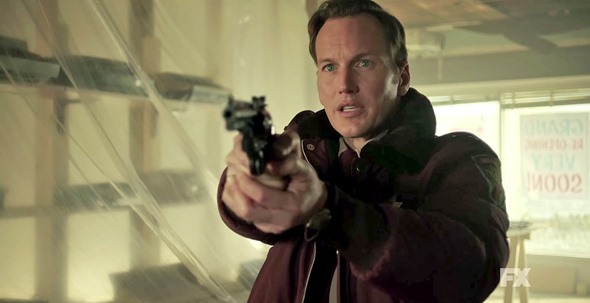 Fargo will return to FX on Monday night, and the series has a lot of weight on its shoulders. After a highly popular and well-received season one, the men behind the FX drama have their work cut out for them. Will they be able to keep up the momentum and keep fans tuning in during season two? Season 1 was a massive hit. With a Peabody award, a Golden Globe, and several Emmys, the series knows the first season was loved. According to TV Guide, Fargo season two will take fans back to 1979. This season stars Patrick Wilson, Ted Danson, Jean Smart, Kirsten Dunst, Jesse Plemons and Jeffrey Donovan. The season ahead will involve Wilson trying to solve the murder of three people at a Waffle Hut. Noah Hawley realized he had a challenge on his hands when it came to the second season of Fargo. Season one helped lead to season two of Fargo, but will season two lead fans to season three? He spoke about that challenge with HitFix. Fargo will air its premiere tonight on FX. Are you excited for the show’s return? Tell us what you think.